You are here: Home / Business Models / Is Your Tech Business Marketing or Sales Driven? 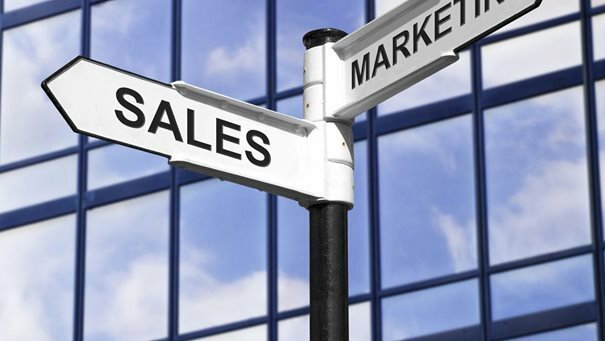 Is Your Tech Business Marketing or Sales Driven? Software and hardware business are often segmented by the vertical or horizontal market they’re targeting, their technology platform, small vs. large companies and so on. But one of the more important ways to segment tech businesses, which isn’t often discussed, is whether the company is sales-driven or marketing-driven in their customer acquisition strategies. Should Your Tech Company be Marketing or Sales Driven? Now some reading this article may ask “why wouldn’t you take a balanced approach”? Indeed, I don’t mean to suggest that either sales or marketing should be absent in the customer acquisition efforts of tech companies. There are a few scenarios that could be drawn up to support such a singular approach—but very few for sure. There are also some situations where the customer acquisition circumstances are “in between” in price, complexity, market size, etc. and you DO end up with a fairly balanced approach between marketing and sales. But in my experience either the sales or marketing function will rise to the lead, more often than not. Product Complexity – This often decides whether or not a product can be truly driven to purchase by marketing, or whether significant sales rep intervention will be required to close a deal. It should be noted that even when product complexity is high, marketing support in the form of sales tools (examples: case studies, road map presentations by product management) will still be very important in the sales cycle. But this will still generally be a sale that is driven by the sales force, with marketing in a supporting role. Product Price/ Typical Sale Size – The lower the product price and typical sales size, the more likely you’ll be able to acquire customers exclusively through marketing, or at least in conjunction with inside sales that is primarily “taking orders”. Conversely, products that cost a lot may require the extra interaction provided by an outside sales force (and the deal size also justifies the cost of the sales force). Market Size – Very large markets with lots of customers are more easily and cost-effectively reached with effective marketing. A tight market with a small number of total prospects (think nuclear power plants) will usually be served almost exclusively by an outside sales force with minimal marketing intervention. Use of Channels – While companies selling heavily through channels often need reps to call on the channel partners, far fewer channel reps are required than if the sales reps are dedicated to direct selling. Channels also require the software or hardware vendor to create demand via marketing. Generally the heavier the use of third party channels in the customer acquisition approach, the more heavily the mix will lean toward investment in marketing. Adequate marketing funds – If you’re going to be marketing-driven in your customer acquisition approach, you better dedicate enough money to fund marketing demand creation programs with superior performance. To do otherwise will cripple your business. An objective, marketing data-driven culture – The beauty of a marketing-driven approach is that it can take much subjectivity out the management of optimizing your customer acquisition activities. Especially in this era of highly measurable online marketing, decisions should be made on what the data says—not on the whims of the CEO or some other senior executive. Excellent inside sales in support of marketing – Except for very simple, low cost products where marketing can truly drive the sale all the way to completion—these days that often means a software download, SaaS signup or physical product order—it’s still important to have an efficient (but low cost) inside sales operation supporting your marketing machine. Great sales people – Hiring good people is so very important in every area, but when your relying on an expensive outside sales force to drive revenue—you better hire the very best reps you can afford and attract. Success driven comp plan – If your success depends upon them, make sure your sales reps become really happy only when the company is happy as well. Good marketing support in the form of lead generation programs and sales tools – Unless you have a tiny market with obvious, easily identifiable prospects, it’s still very important to have a good marketing function which generates leads as well as supplies winning sales tools. Unfortunately, logic and situational analysis doesn’t always win out when software and hardware companies are designing a customer acquisition strategy. Usually by the time a company grows to be large, their approach is in line with what’s best for the business. Of course, your chances of growing to be a big company are reduced if you make serious errors in sales and marketing strategy! But in any event, by the time a company is big they are usually utilizing both sales and marketing effectively and in the proper balance. Startups and early stage companies are another matter entirely. Often the emphasis on either sales or marketing is based on the experience of the founders and senior executives. If they’ve been successful in the past and their new company has a similar focus, maybe it’s fine and their approach works well again. But a problem occurs (often!) when these executives start up a very different type of company than they’ve had success with in the past. It’s human nature to fall back on what I refer to as your “common business sense”; which is formed by your unique personal background and past experiences. This is when you can end up with a misalignment between what a company really needs and the approach that is taken with the sales & marketing mix. Even worse still is when the customer acquisition approach develops more or less haphazardly. This can happen when the founders of a company really don’t have much functional experience in sales or marketing. This occurs somewhat frequently in software and hardware companies, as many startups are created by technical folks. In these cases there may be a fairly unsophisticated approach to both sales and marketing—and whatever function has even a bit of early success may end up dominating. For example, a sales rep is hired who makes a few sales, so the model becomes hire a lot more reps and turn them loose, without much (or any) support on the marketing side. Or a direct email campaign or online advertising generates some early sales, so money is poured into that method. Unfortunately, these may not be the best approaches strategically for the business in the long run. That’s what I think about tech business marketing vs. sales driven orientations. What do you think? Post a comment with your own opinions/stories about what drives customer acquisition in high tech companies.